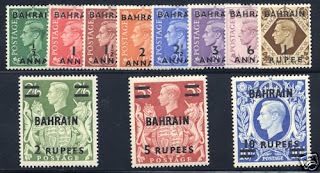 In 1948 and '49, the Kingdom of Bahrain, then a British-protected territory, surcharged a portion of Great Britain's George VI definitives of the time, issuing a set of eleven stamps (Scott #52-61A). Only 16,460 sets were issued, making it perhaps the scarcest set ever issued by Bahrain. Scott '10 values the unused set at $ 83.00 ($110.- for NH). Bahrain, a country of just under 800,000, has the fastest growing economy in the Arab world. With oil reserves estimated at 150-200 million barrels, Bahrain is not as oil-rich as some of the other Gulf States, but has met the challenge by successfully diversifying into banking and financial services, and is now considered a major financial center. Annual GDP growth has averaged 6.5% over the past 5 years. Bahrain is also developing its natural gas industry, as it has gas reserves equivalent to about another 580 million barrels of oil. 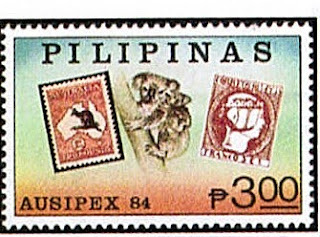 The Philippines issued several sets and souvenir sheets at stamp exhibitions in the 1970s and '80s, and I am particularly interested in the three issues which featured "Stamps on Stamps" - AUSIPEX '84, and AMPHILEX '77 and ESPAMER '77 (both airmails). 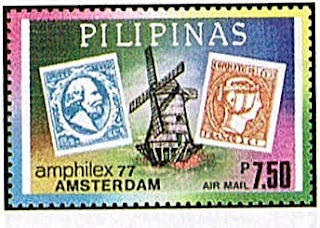 These popular topicals pictured the first issues of the Philippines, Australia, the Netherlands, and Spain and had low printings (especially the imperforate versions of the sheets, which are noted in Scott). As a newly democratic and newly industrialized country of 92 million which is transitioning from its centuries-old complete dependence on agriculture, the Philippines may turn out to be one of the most successful emerging markets in the Pacific Region. The government tends toward fiscal conservatism coupled with long-term economic planning, and annual GDP growth has been around 6%-7%. In 1946-47, Australia issued a set of stamps for its military forces occupying Japan (Scott #M1-7), by overprinting seven values of its 1937-46 Issue for use by the British Commonwealth Occupation Force. Only 32,508 sets were issued, and Scott '10 prices the unused set at $ 185.- . This set is interesting from an investment perspective, because it appeals to collectors of Australia, British Commonwealth, and also possibly Japan. Unfortunately, forged "B.C.O.F." 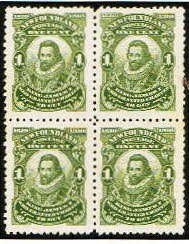 overprints of the two high values exist, presenting an expertization cost problem, which may be coped with in one of four ways. 1 - Buy blocks of 4 or more of either the complete set or the 5sh high value (Sc. #M7), and get the block of M7 expertized. 2- Buy a block of the 1p Brown Violet with blue overprint (Scott #M2a- Scott '10 CV = $100.- , and $ 125.- for NH) and get it expertized. The quantity issued for this variety is unknown,but was probably in the low ten thousands. 3- Buy the 3p Dark Violet Brown with double overprint (Scott M3a- Scott '10 CV = $ 750.-) and get it expertized. The quantity issued for this overprint error is unknown, but was probably in the low thousands. 4- As covers which contain complete used sets exist, purchase one of these if you can find one in nice condition, and get it expertized. I favor better stamps of Australia, as it is a prosperous nation of 22 million people and a diverse economy, with thriving service, agricultural, and mining sectors. Annual GDP growth has average 3.6% over the past 15 years. Recently, there has been considerable growth in mining and petroleum extraction, in part due to increased exports to the resource-hungry Chinese market. It is likely that Australia's stamp collecting population will grow significantly as the nation ages. The percentage of Australians over 60 is projected to rise from 16% in 2000 to 24.8% in 2025, and 28.2% in 2050. Like many of the other colonial powers of the time, Italy maintained spheres of influence in China (in Peking and Tientsin), and issued stamps for its offices in China from 1917 through 1921. All of Italy's Offices in China stamps cataloguing $20 and higher are scarce to extremely rare, and are possibly the most undervalued of all of the Offices in China stamps issued by the various countries. Quantities issued are not known, but I would estimate that those stamps presently cataloging $20 or more were probably issued in quantities of under 100 for the rarest to the low thousands for the most common. These stamps have been largely overlooked for several reasons. Firstly, fake overprints exist for many of the higher values, making expertization necessary, and therefore rendering purchase of the lesser stamps as investments impractical, due to the cost of expertization. Secondly, because of their scarcity, these stamps are rarely offered, and they are often poorly centered or in inferior condition when they are. Thirdly, like other Offices in China stamps, they have been spurned by the Chinese market, because many Chinese view them as shameful relics of imperialistic subjugation. Nevertheless, I feel that time is on the investor's side when it comes to better Offices in China stamps, because of rising demand among collectors in their home countries, and because I believe that eventually these stamps will be viewed within China as important artifacts of a tragic period of foreign encroachment, which the Chinese people survived and overcame. In 1935, Russia issued a stamp for it first flight from Moscow to San Francisco (Scott #C68) by applying a 1r sucharge to its earlier 10k S. A. Levanesky stamp. Only 10,000 were issued, and Scott '10 prices the unused stamp at $ 1,250.00 ($ 3,250.00 for NH). The stamp has appeal to Aviation topicalists as well as collectors of Russia. The market for better Russian stamps from the Czarist through Stalin periods is very hot right now. With 142 million people, Russia is the 8th or 9th largest economy in the world, with vast reserves of natural resources and a highly educated population. Since the collapse of the Soviet Union, Russia has experienced several major economic crises in its transition to capitalism, although annual GDP growth has been strong over the last 5 years, at around 7%. 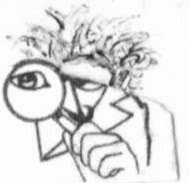 The country is still plagued by corruption and organized crime, making it somewhat reminiscent of America during its "Wild West" and Robber-Baron periods. Nevertheless, the middle class has grown from just 8 million people in 2000 to 55 million in 2006. I favor all better items of Russia, as I believe it likely that both its economy and stamp collecting population will grow substantially over the next decades. Note that counterfeit overprints exist for this issue, so expertization is strongly advised. In 1964, Albania issued a set of stamps commemorating the 15th Anniversary of the establishment of the People's Republic of China (Scott #765-66). Only 12,000 sets were issued, and Scott '10 prices the unused set at $ 22.00. 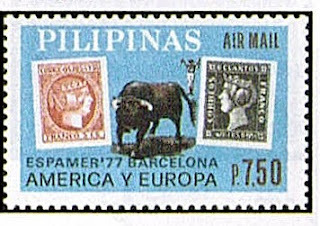 Better stamps of the P.R.C. have dramatically risen over the last decade, and will continue to do so as China progresses economically. It is inevitable that other countries' scarce issues with topics related to the People's Republic, especially those honoring Chairman Mao, will zoom upward when they attract the attention of China's tens of millions of collectors. The market for Albanian stamps per se is a minor factor in this case, but worthy of consideration, nevertheless. A nation of 3.2 million people, Albania is poor by Western European standards, but has experienced healthy GDP growth, averaging 6% over the last 5 years. Foreign investment has increased but has been dampened somewhat by the country's inadequate infrastructure. Modernization will be Albania's main challenge over the next decade. It may irritating to discover that the prices of many goods at the supermarket have doubled over the last few years, but it doesn't compare to the desperation experienced during periods of hyperinflation, when currency could be rendered virtually worthless in a matter of days or weeks. The most famous incident of hyperinflation during the stamp-issuing era was in Germany in the early 1920s. A memorable image of this period is a photograph of a man pushing a wheelbarrow full of paper money through the streets to buy a loaf of bread. Regular German postal stamps issued just prior to 1922 ranged from a couple of pfennig to no more than 20 mark. In 1922, values went up a bit, with one series ranging from 100 to 500 mark, but it was 1923 when things really started to go south (or rather north). The pfennig gave way to the mark, which soon gave way to the tausend mark. The inability to keep up with inflation by printing new, higher denominated stamp series required that older issues be hastily surcharged with denominations in the thousands to millions. Hyperinflation is especially interesting to philatelists, because due to the rapid devaluations of the period, some stamps were only in use for a very short time, and are now worth far more used than unused. Of course, fraudulent cancellations abound. The Ryukyus Islands were occupied by U.S. forces in 1945, and reverted to Japan in 1972. During the period of occupation, the U.S. issued stamps for use in the Ryukyus, which now are sought by U.S. and Japanese collectors. In 1953, the Ryukyus issued a 30y Olive Green stamp picturing the Sonchan Utaki Altar at Shuri Castle (Scott #24)a s part of its 1952-53 Scenes set. While the normal stamp is quite common, a light olive green variety (Scott #24a), issued in 1958, is not, as only 1,300 of the variety were issued. Scott '10 prices the unused variety at $ 60.00. The variety has been neglected, and has a strong dual market, appealing to both American and Japanese collectors. A little over 2 months ago, I recommended purchase of Newfoundland's 1910 Guy Issue (Scott #87-97, 98-103). Focusing a little more closely on this issue, I am now tipping the stamp that is perhaps its most undervalued variety, the 1c "NFW" for "NEW" variety (formerly Scott 87d- the upper left stamp in the block pictured). Scott, in its infinite wisdom, elected to deprive this stamp of its catalog number, although it is still noted and priced in Scott's Classic Specialized Catalog. Unitrade, the Canadian specialized catalog, still lists the stamp. 50,000 of the normal 1c stamp (Scott #87) were printed in sheets of 100, of which one stamp per sheet had the "NFW" variety. In other words, only 500 "NFW" varieties were originally issued, back in 1910. Nice LH and even NH examples can sometimes be found for $50 to $150, and the stamp is even occasionally available in blocks of 4 with the normal 1c stamps. I feel that this stamp is grossly undervalued, partly because of Scott's treatment of it, a temporary case of the "tail wagging the dog." Stamps of Newfoundland and the other former British colonies of British North America are very popular among both Canada and British Commonwealth collectors. stamps "Zeppelin 1930", thereby creating its first airmail, intended to be used on the Graf Zeppelin return flight from Finland to Germany (Scott #C1). 500 stamps were errantly overprinted "Zeppelin 1830" instead of "1930" (Scott #C1a), of which probably about 200-300 were sold and the rest destroyed. Scott '10 values #C1 unused at $ 140.00 ($225.00 for NH)and C1a at $2,500 . I feel that both stamps are good investments, but that the overprint error is the better of the two. 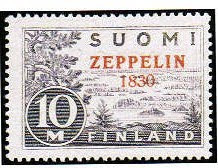 Zeppelin stamps and covers are extremely popular worldwide, and the "1830" overprint error is one of the gems of both Finnish and Zeppelin philately. It costs a little more than a U.S. 1930 Zeppelin set (Scott #C13-15), yet is about 200 times rarer, and worth its weight in Finnish fairy dust. Finland, a nation of 5.3 million people, has a highly industrialized free-market economy focused largely on manufacturing. GDP growth has averaged about 3.6% annually over the last 5 years, although it declined recently due to the global financial crisis, and is now recovering. Finland's stamp collecting population is comparable to other Scandinavian countries, and will probably grow significantly as the nation ages over the next decades. Counterfeit overprints exist of both the normal and error stamps, so authentication is recommended, especially for the error.